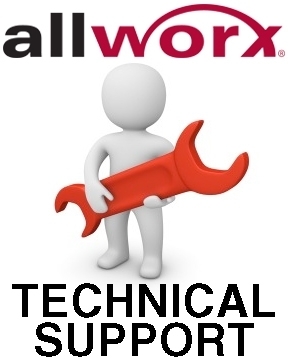 Get technical support and assistance from authorized and trained Allworx technicians. Self-Help Website Access - Get access to self-help documents including manuals and other proprietary documents and information. Unlimited Programming via Remote Access - With remote access set up, we can monitor and make changes quick and easy. Some restrictions may apply. Once plan per site or system. Offer is not valid for communications dealers or resellers; end-users only. CCBasic Annual support is valid for 1 year after date of purchase.